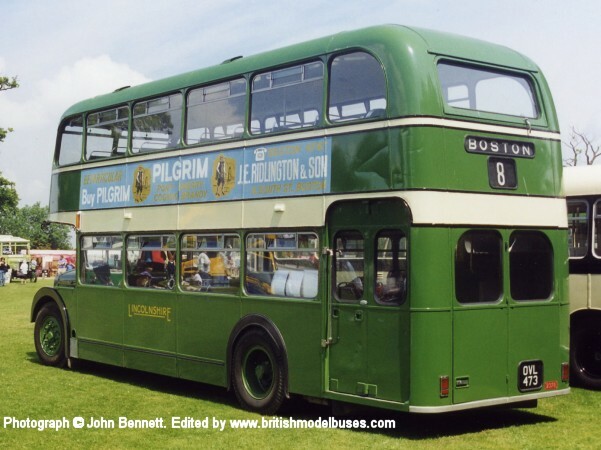 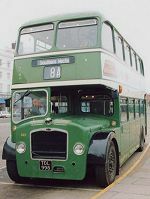 This photograph was taken at the Staines Buses of Yesteryear Rally on 11 August 1996 and shows fleet number 1969 (468FTT). 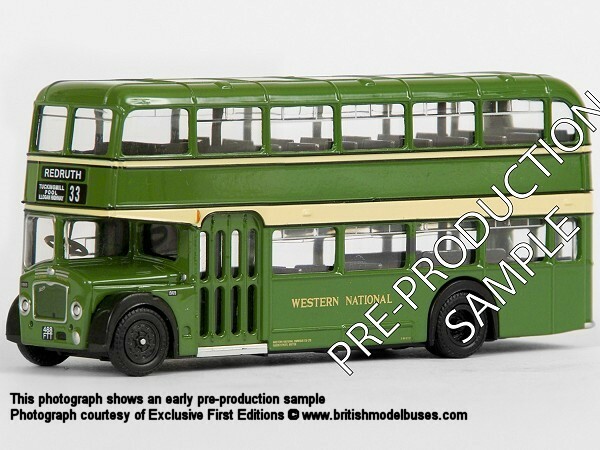 This is the actual vehicle represented by EFE model 14204. 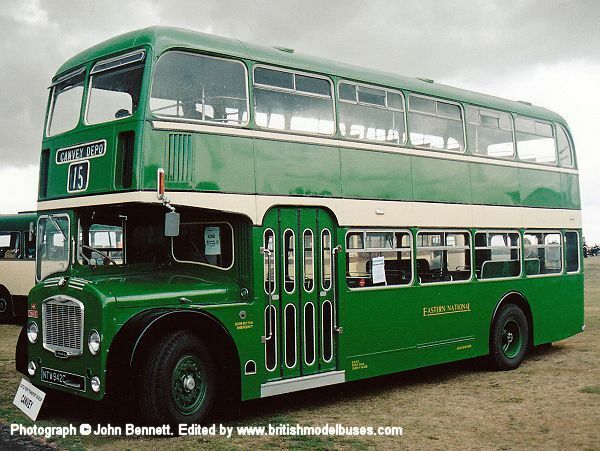 The photograph was taken in May 1979 at the former premises of the well know independent operator Hulley's of Baslow in the Peak District. 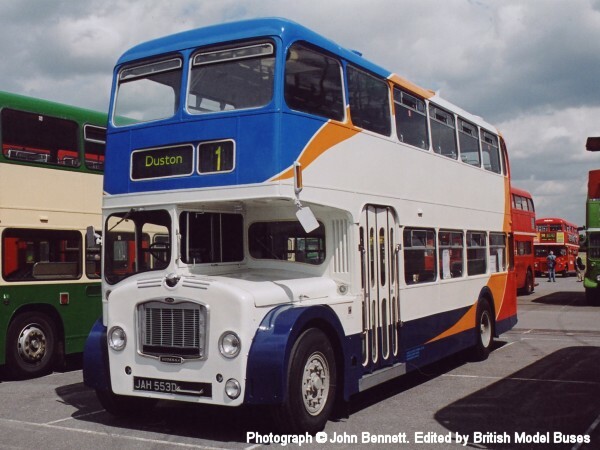 By this time, Hulley's had been taken over by Wooliscroft of Darley Dale as part of the Silver Service group. 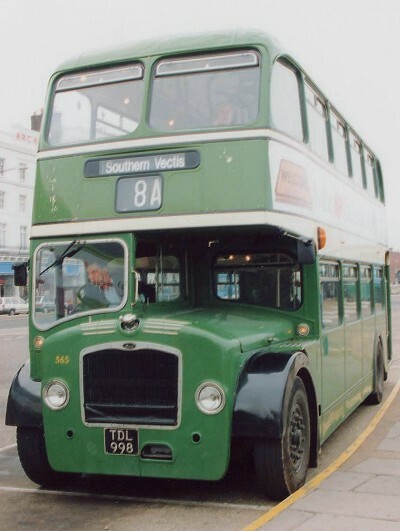 As well as retaining Western SMT livery, VCS366 on the right still retains its Western SMT depot code and fleet number (JB1812), J being the code for Johnstone garage and B indicating a Bristol vehicle. 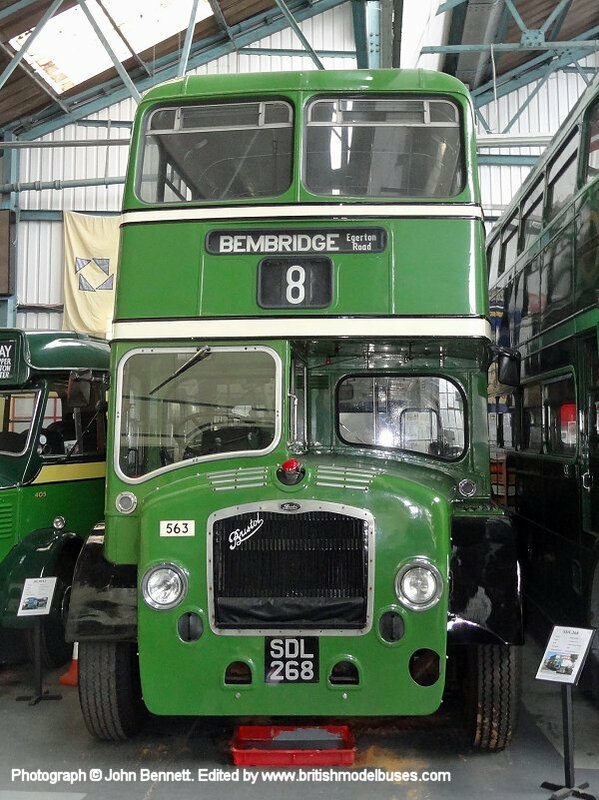 The fleet name on the side has however been painted out. 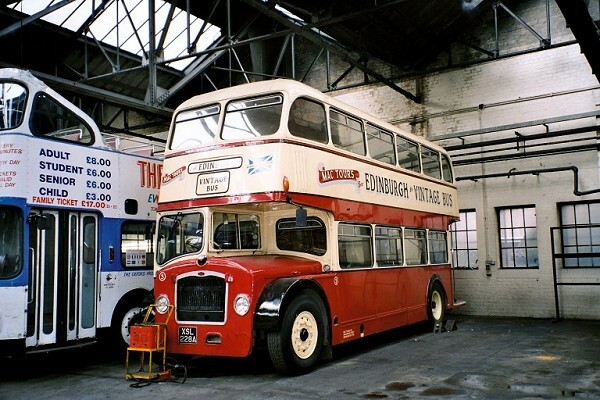 VCS367 on the left however has its original fleet number on the front painted out and its Silver Service number 27 stencilled on the nearside. 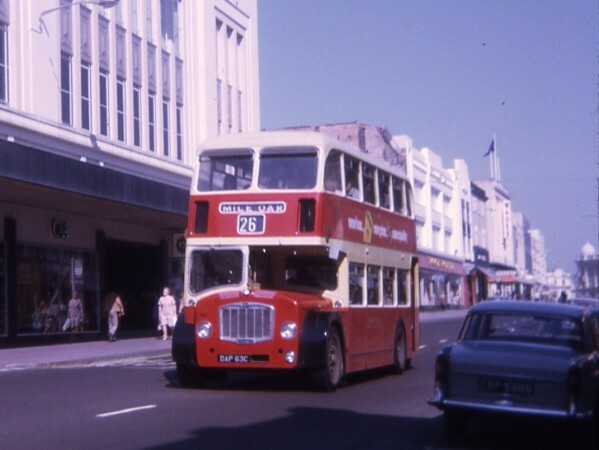 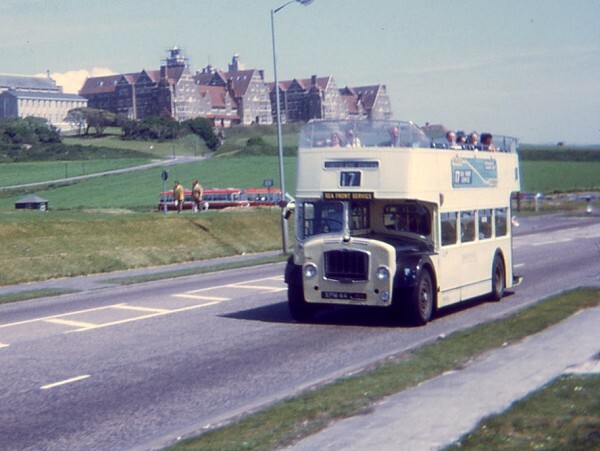 This photograph was taken in Brighton on 31 May 1971 and shows fleet number 2044. 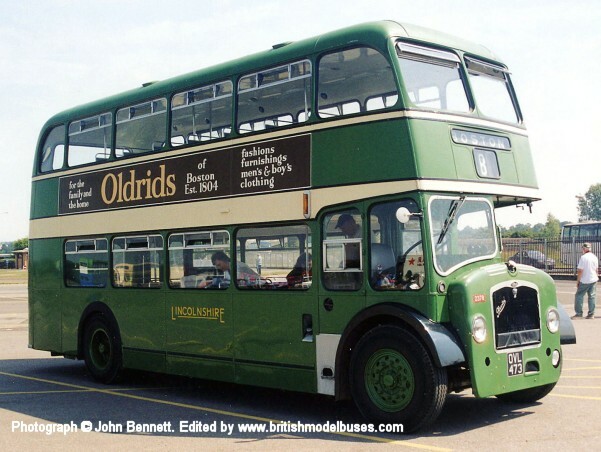 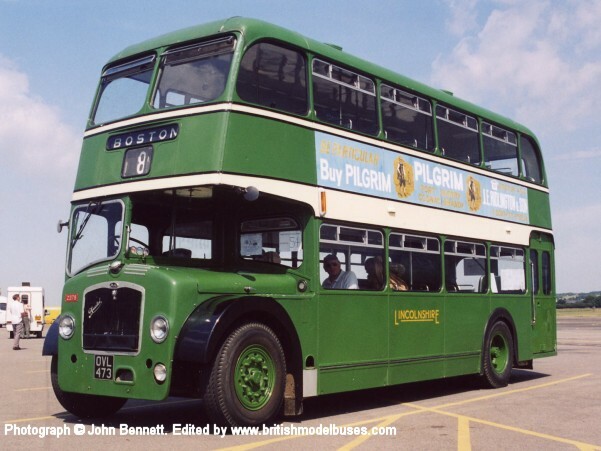 This vehicle is similar to XPM43 which is represented by Corgi OOC model OM40810 as a Southdown Brighton Hove and District vehicle. 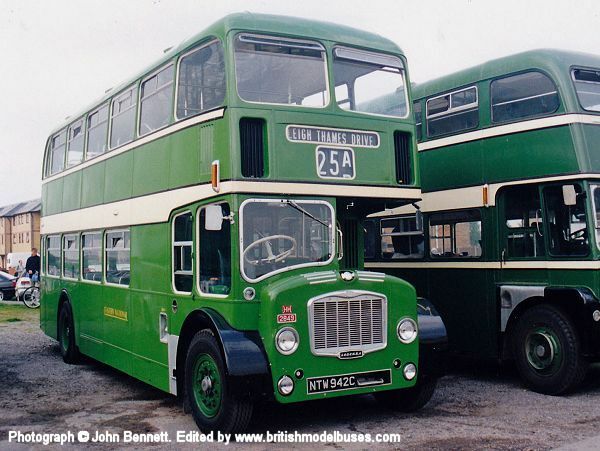 This photograph was taken in the North West Museum of Road Transport, St. Helens (www.hallstreetdepot.info) on Saturday 30th September 2006 and shows fleet number DFG157 (4227FM). 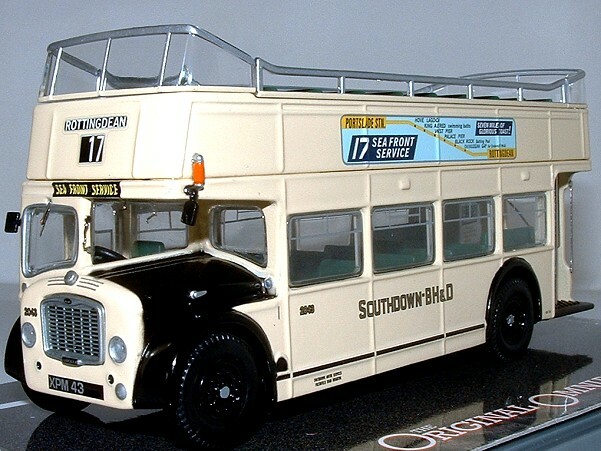 This is the actual vehicle represented by Corgi OOC model OM40809. 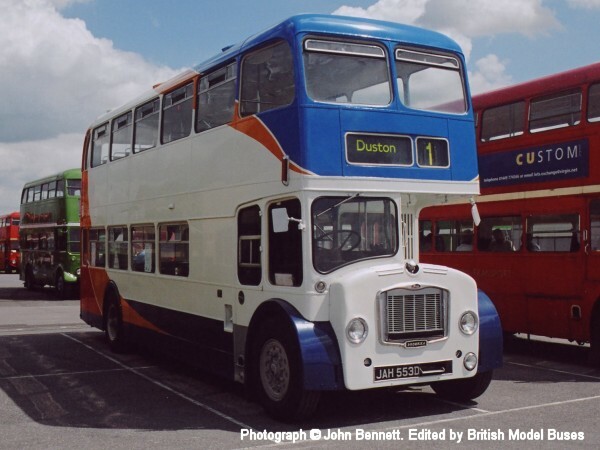 This photograph taken at Stockwood Park, Luton on 13th June 1999 shows the rear view of the above. 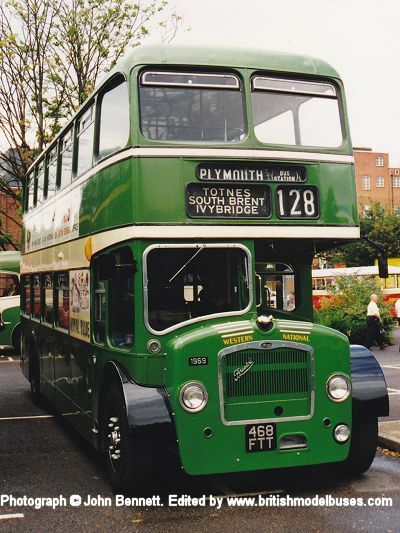 This photograph was taken at Ryde Bus Station in August 1994, and shows fleet number 565 (TDL998) as part of the then Southern Vectis Heritage fleet. 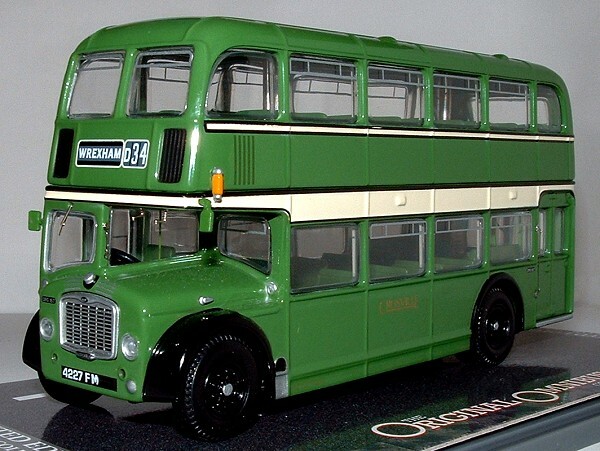 This is the actual vehicle as represented by Corgi OOC model OM40811. 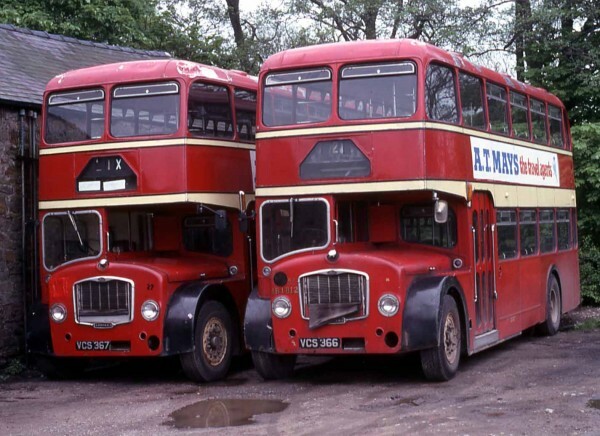 This photograph was taken at Showbus on 21 September 1997 and shows a line up of Bristol FS Lodekkas. 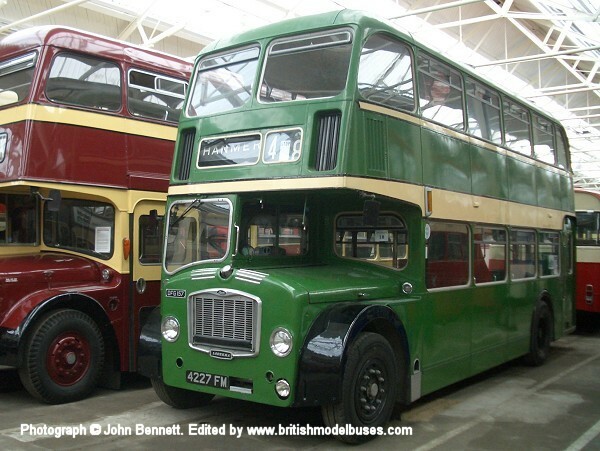 The first two from the left are Ex-United Counties, the third Ex-Lincolnshire Road Car. 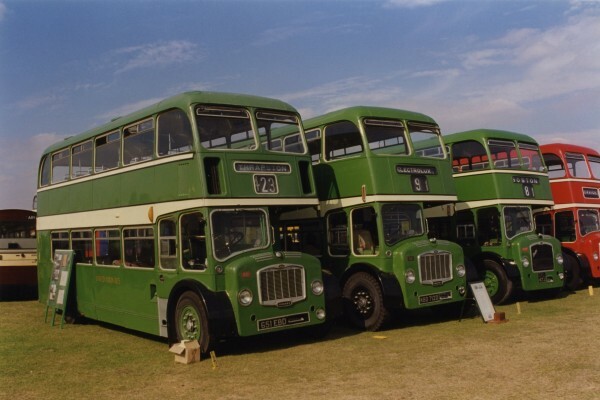 The second vehicle from the left (middle green) is United Counties fleet number 712 (KBD712D). 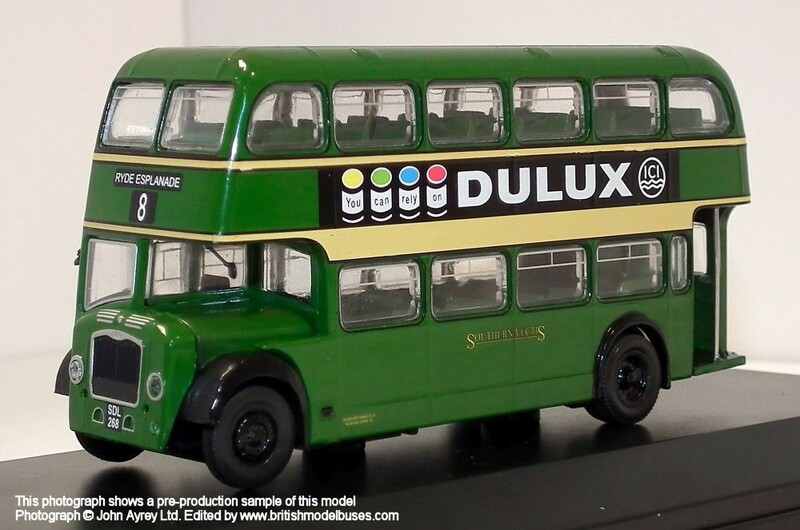 This is the actual vehicle represented by the Corgi OOC model OM40805. 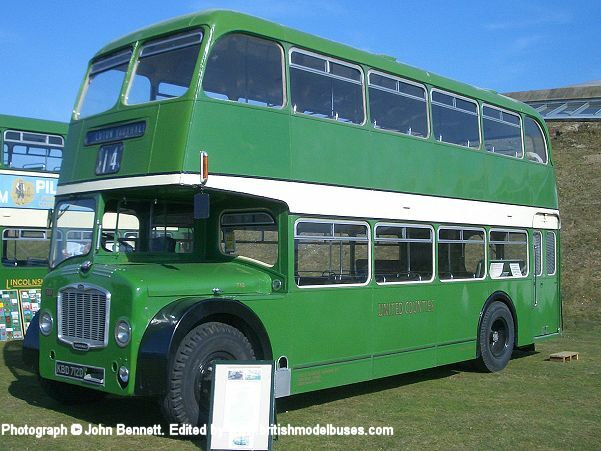 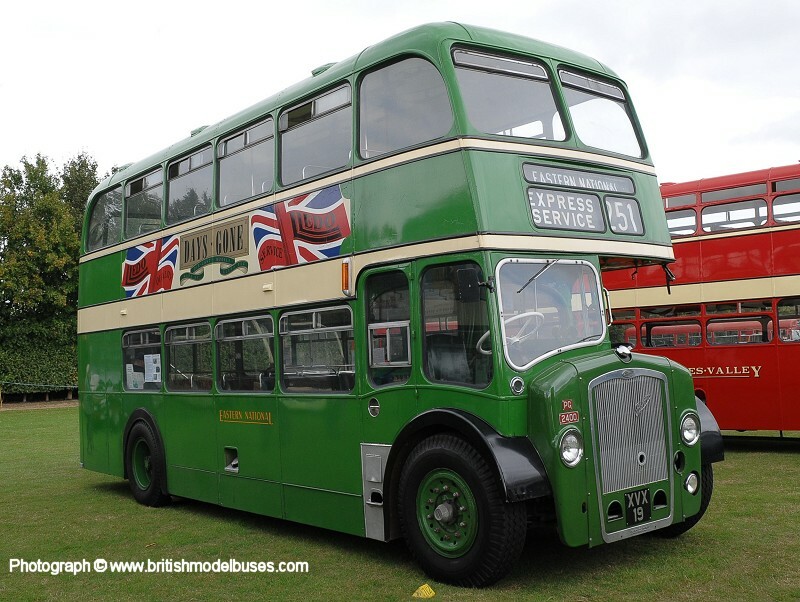 This photograph was taken at Showbus on on 27th September 2009 and shows fleet number 712 (KBD712D). 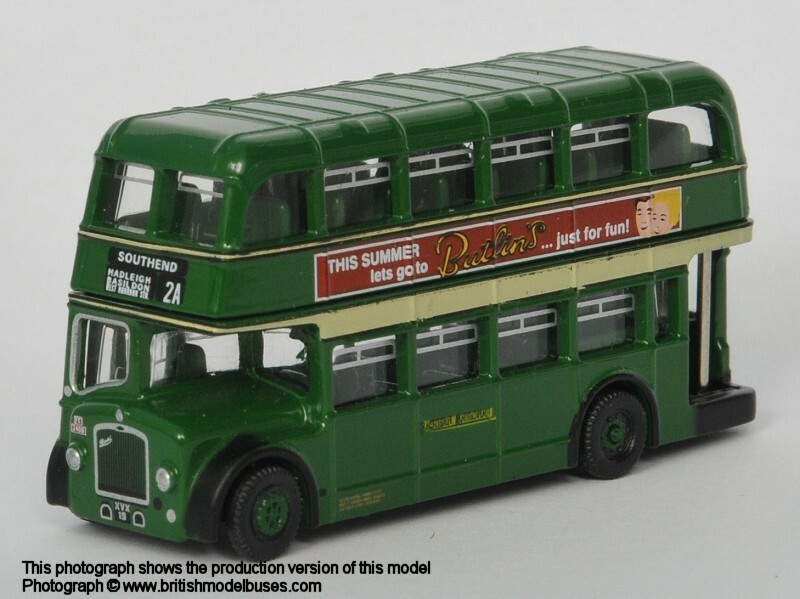 This is the actual vehicle represented by the Corgi OOC model OM40805.